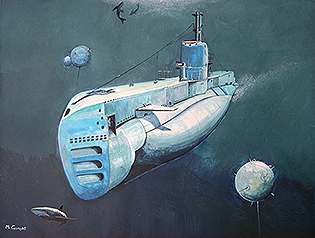 Join SubArt's MAILING LIST to be informed every time a new painting is added to the site. 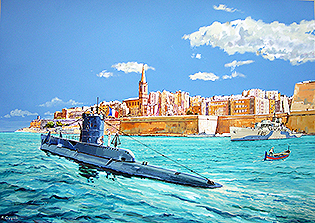 March 2019 Sadly, due to the artist Dennis Andrew's ill health his artwork is currently not available for purchase. 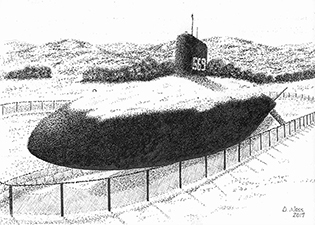 We wish him better health soon. 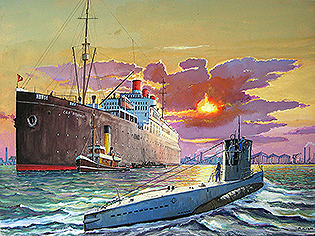 February 2019 "Baltic Harbour in late 1944" showing a revolutionary Type XXI German U-boat and the ill-fated cruise liner Cap Arcona. 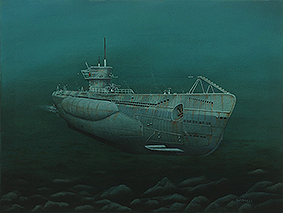 November 2018 SubArt welcomes a new SubArtist, William Gardoski. 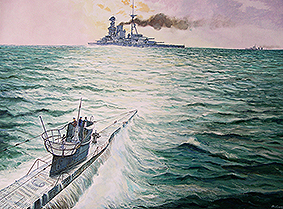 A great realist artist as can be seen from this stunning painting "Type VII"
February 2018 Look at those colours! 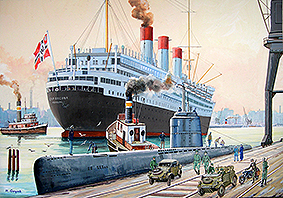 - "Kiel Harbour 1935"
November 2017 It is with HUGE pleasure that SubArt is now listing some of John Meeks' artwork again. 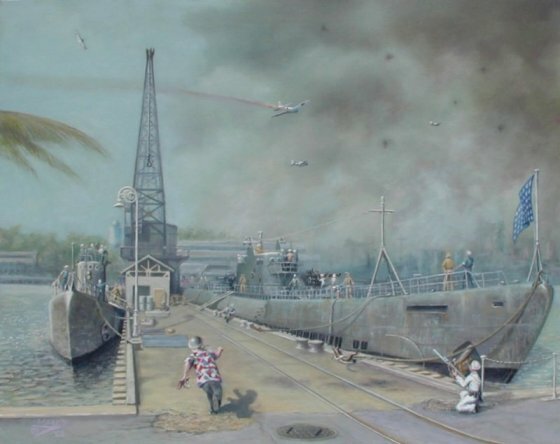 This talented artist sadly passed away in 2008 but his memory lives on through his art. 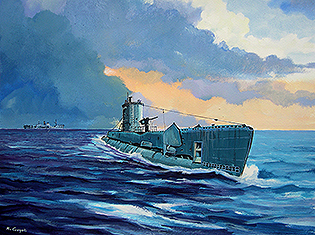 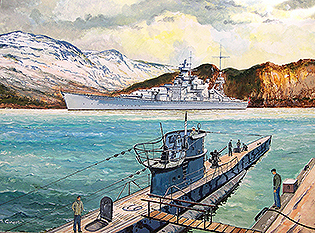 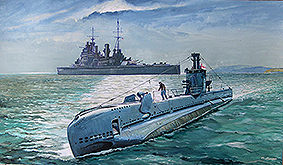 SubArt has relisted 11 of his original artworks for sale and this limited edition print of USS Nawhal and Dolphin at Pearl Harbour is also available. 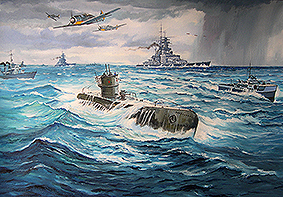 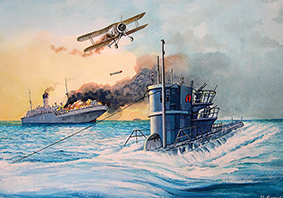 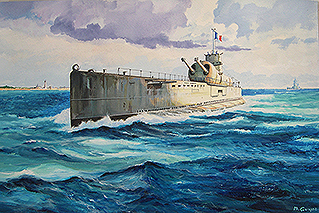 August 2017 A Type VIIC/41 U-boat under attack in this painting: "Battle of the Atlantic (Part 3)"